We have put together a list of popular Nursery Rhymes with chords and lyrics which are ideal for sing-a-longs especially with toddlers and young children. Whether you play them for fun or in a group with family and young ones, they guarantee loads of fun with toe-tapping tunes that have been around for centuries and still remain popular to this very day. 1. Old Mac-Don-ald had a farm, E-I-E-I-O! And on that farm he had a cow, E-I-E-I-O! Old Mac-Don-ald had a farm, E-I-E-I-O! 2. 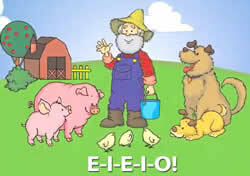 And on that farm he had some chicks, E-I-E-I-O! 1. Baa, baa, black sheep___ Have you a-ny wool? And one for the lit-tle boy___ Who lives down the lane. 1. The it-sy bit-sy spi-der climbed up the wa-ter-spout. Down came the rain and washed the spi-der out. And the it-sy bit-sy spi-der climbed up the spout a-gain. Hump-ty Dum-pty had a great fall. All he could see were buck-les and hooves. Were hap-py that Hump-ty's to-geth-er a-gain. This old man came roll-ing home. This old man came roll-ing home. My fair la-dy. My fair la-dy. My fair l-ady. My fair la-dy. 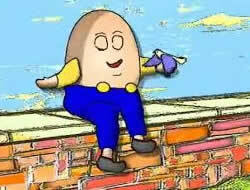 Build it up with bricks and mor-tar,          Sup-pose the man should fall asleep? Ma-ry had a lit-tle lamb___ It's fleece was white as snow. And ev'-ry-where that Ma-ry went___ The lamb was sure to go.